In this post, BPC's archivist Anne Kumer shares some history. One hundred years ago the Titanic sank, taking with it over 1,500 passengers and crew members. One of three ships operated by the White Star Line, she was said to be unsinkable, and the largest existing passenger ship. Two of the passengers were John Jacob Astor IV and his pregnant wife Madeleine Talmadge Force . . . Astor. Their marriage created a scandal in the States, partially because of their age difference. He was 47 and she was 18, just a year older than his first born son from a previous marriage, Vincent Astor (pictured here). While waiting for the scandal to die down the newlyweds embarked on an extended honeymoon. 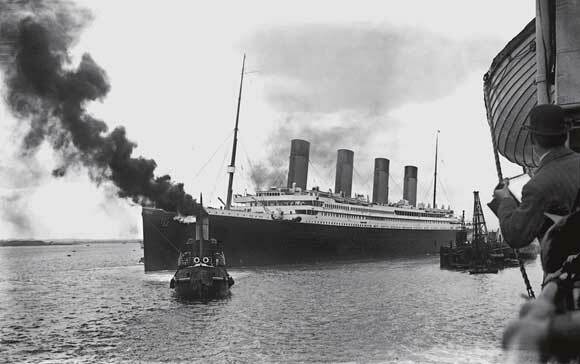 The final leg of the journey was the Titanic voyage from Southhampton England to New York City. 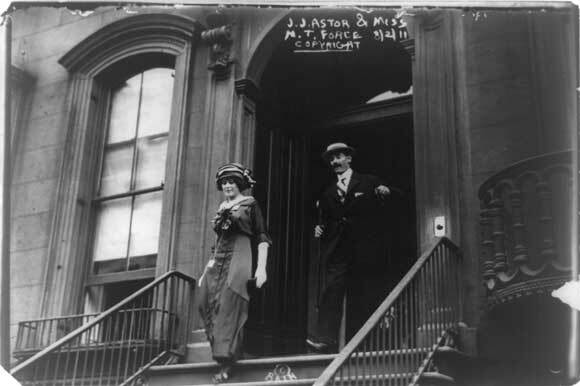 Astor's first son from a previous marriage, Vincent Astor, married socialite and philanthropist Brooke Astor, who was known for her support of the NYPL and Bryant Park's restoration. Mrs. Astor was one of the few lucky passengers to survive when the ship went down on April 15, 1912. Largely because of the policy dictating that women and children be given preference to the lifeboats, Mr. Astor did not survive. Read more about the Titanic, and two more of its passengers, Mr. Isidor Straus (then co-owner of Macy's department store) and his wife Ida, on our sister blog Fashion Herald.